Along with much of South London, West Norwood was once covered by a giant oak forest known as the Great North Wood (hence the name Nor-wood). 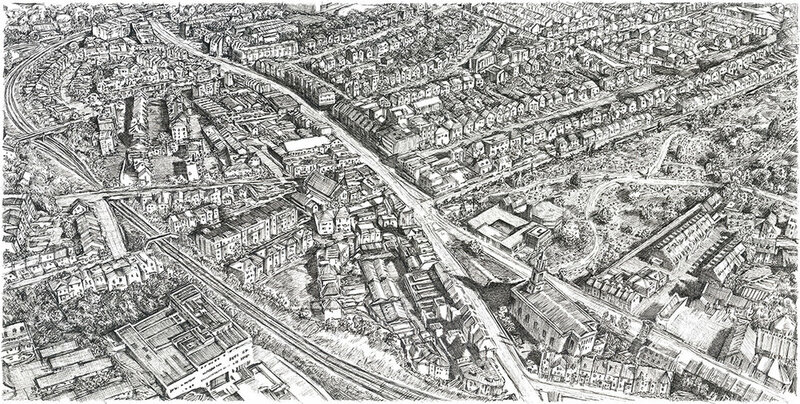 Vestiges of the forest survive, including in the magnificent West Norwood Cemetery which is visible in the right portion of this drawing. The idea of overgrown cities is one of the central themes of my work, though it is unlikely that suburbs like West Norwood will be allowed to revert to nature any time soon.